Emily Muteti at a past African Swimming Championship in Nairobi. Kenya faces a daunting task to overthrow reigning champions Tanzania during this year’s regional CANA Zone three swimming championships, which will be held in Khartoum, Sudan from November 13 to 16. Kenya will enter 60 swimmers for the event, which is open for teams from east, central and southern Africa. Alongside Kenya, other nations eyeing the top prize include Zimbabwe, Zambia, Mauritius, Sudan, Uganda, Rwanda and Namibia. 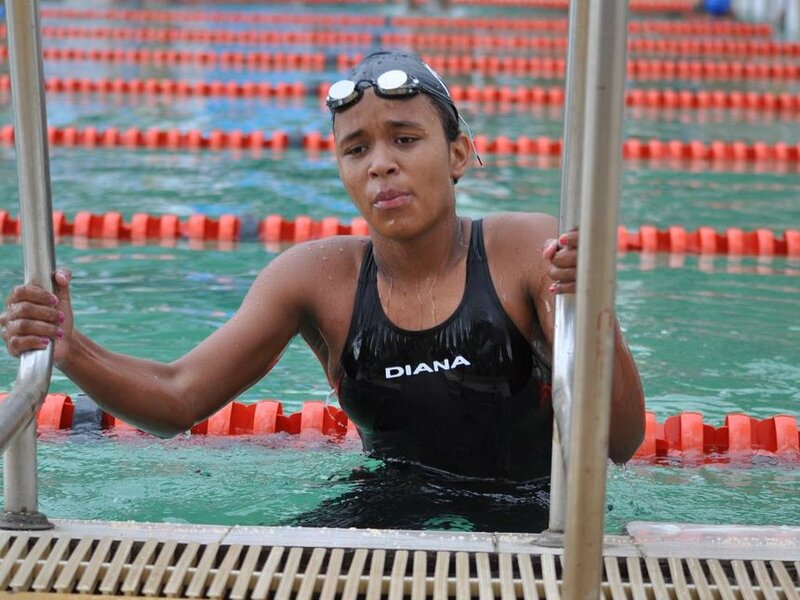 However, Kenya will miss the services of Africa Youth Games champion Maria Brunlehner, who is unavailable for competition at the moment, as the German-based swimmer will be sitting her examinations. Last month, Brunlehner, who was Kenya’s only representative at the Youth Olympic Games in Buenos Aires, Argentina, was forced to withdraw after falling ill. However, she believes she will be back in action early in January as she eyes a slot in the Kenya team for the 2020 Tokyo Olympic Games. “I am unavailable for competition at the moment because I have examinations. But I will be back and I hope I can make the squad for the Olympic Games. It will be a dream to compete with the best swimmers in the world at the highest level,” said Maria. The Kenya Swimming Federation (KSF) interim management committee is yet to name the coach of the team. However, federation official Jen Maina acknowledged that they are optimistic the team will do well in Khartoum. “The squad selected is very strong with some of our very best and upcoming swimmers and we hope to top the medal standings,” Maina said on Friday in Nairobi. The Kenyan squad includes Imara Bella Thorpe, Rushab Shah, Clyde Lwanya, Emily Muteti, Sylvia Brunhelner and Hadassah Gichovi.